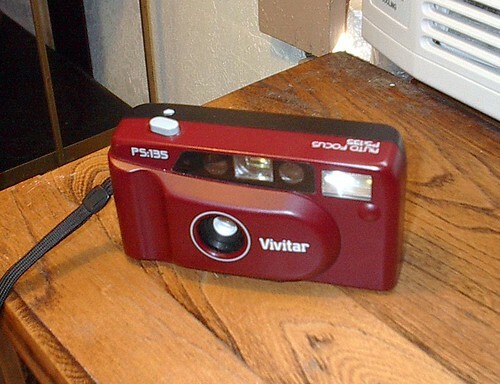 The Vivitar PS:135 is an autofocus 35mm point-and-shoot camera marketed by Vivitar in the late 1980s. The camera is listed in the July 1989 edition of the Vivitar Buyer's Guide. The camera includes a built-in electronic flash, automatic film loading, automatic film speed detection for DX coded film, automatic exposure, and motorized film advance and rewind. The camera is usually found in black but a small number of maroon and grey examples are know to exist as well. This page was last edited on 14 August 2018, at 09:50.